What on earth has been happening to my white clay? Across Australia, in online forums and community pottery groups, the recent behaviour of previously reliable clay bodies has been a hot topic. Causes of slumping, bloating and colour changes have been endlessly discussed amongst the ceramics community but short of having a conversation with every potter in Australia, we have grasped modern technology to offer an online explanation to our customers. Last year the owners of the mine at Gulgong NSW which produced a beautiful, white, plastic, raw clay, decided it was uneconomic to put up another stockpile of clay for the Australian ceramics industry. In mineral rich Australia, manufacturers of sanitary ware, tiles, door handles and dinner sets have been forced offshore by consumer expectations of price and quality, making the Gulgong clay mine no longer commercially viable. There is no other Australian clay deposit as white AND plastic as the Gulgong clay, and to add insult to injury the last of the stockpiled Gulgong clay appears to be slightly different to previous high quality stockpiles. 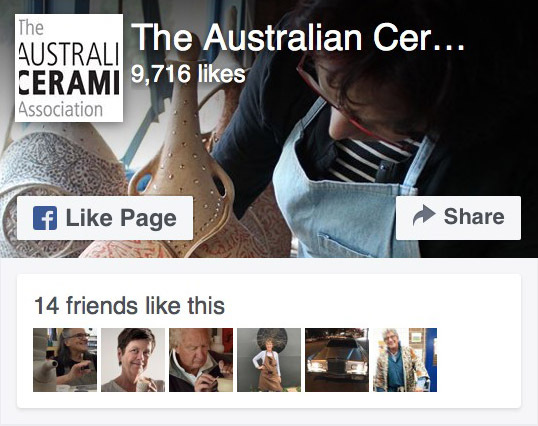 So what does this mean for Aussie Potters? Most Australian clay manufacturers will have some Gulgong clay in their white bodies, especially the stoneware ones. Most recent batches of clay may be slightly less white and forgiving than a batch made a few years ago. If you receive a new clay delivery, it’s a good idea to test it first before you fill up a whole kiln. We are consistently amazed at the incredible ways artists use our clays but some of these techniques push the clay bodies to their limits of its strength and plasticity. With the loss of Gulgong clay, previously tried ways of working may be much more challenging. The team at Walker Ceramics has spent years of blood, sweat, tears (and swearing!) re-formulating our clay bodies to replace the Gulgong clay with all its beautiful dense and forgiving properties. More often than not we were faced with the impossible choice between whiteness and plasticity in a body and came up with some creative solutions to produce the very best reformulations possible. All Walker Ceramics and Feeney’s Clay reformulations are clearly marked as such and it highly recommended that any reformulated clay is tested before putting it into production. As each new clay body is released we will post an outline of any significant changes in behaviour that we are aware of so please feel free to email any feedback you have to lab@walkerceramics.com.au or david@walkerceramics.com.au.